Bjørn R. Mogensen is Vice President and global head of Finance, IT, strategy and other support functions within Diabetes production. Bjørn has been with Novo Nordisk for 10 years in different leadership roles both in Denmark and Brazil. Before joining Novo Nordisk did Bjørn work for PricewaterhouseCoopers as financial auditor and consultant supporting clients in the global pharma industry. 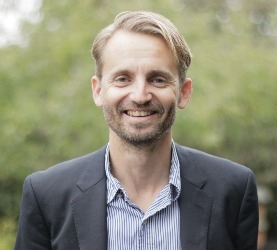 Bjørn holds a Master in Accounting and Auditing from Copenhagen Business School (CBS) and an Executive MBA in strategy and leadership from Scandinavian Management Institute (SIMI). Bjørn holds several diplomas from Harvard Business School.